Sven Mislintat has left his activity as head of recruitment at Arsenal, but how do you price their signings throughout his time on the club? The appointment of the former Borussia Dortmund talent-spotter, nicknamed 'Diamond Eye', in November 2017 was viewed as a coup, however the 46-year-old has now left the Emirates Stadium following a 14-month spell on the club. The Gunners made eight signings throughout Mislintat's time in cost in their recruitment department. 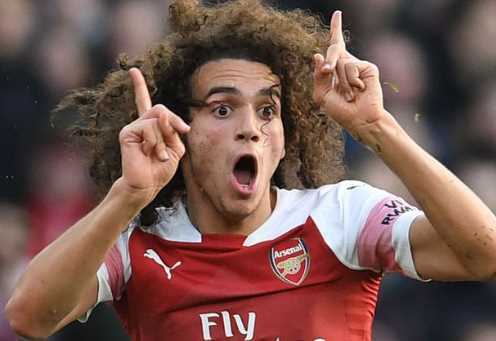 His first switch window on the membership saw a club-record £60m switch for Pierre-Emerick Aubameyang from Dortmund, with Henrikh Mkhitaryan also arriving as aspect of the deal which despatched Alexis Sanchez to Manchester United, and little-known Greek defender Konstantinos Mavropanos becoming a member of from PAS Giannina. Together with Ivan Gazidis and Raul Sanllehi, Mislintat was then aspect of the three-man panel which appointed Unai Emery in May, and then he helped Arsenal convey in a additional five new signings. Lucas Torreira and Matteo Guendouzi arrived from Sampdoria and Lorient respectively to increase the midfield, whereas Sokratis Papastathopoulos and Stephan Lichtsteiner have been introduced into the defence and Bernd Leno arrived to supply festival for Petr Cech in goal. So which signings have been hits and which have been misses? Have your say under and see how they rank. Copyright © 2017 ViralKini. Template by Themeindie.com, All Rights Reserved.